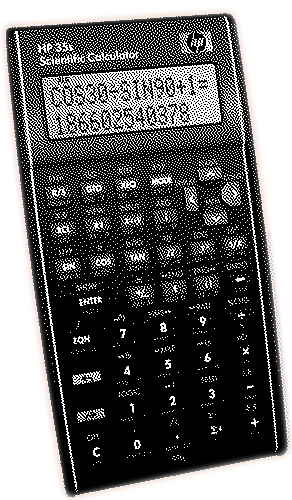 In this age of instant karma and overnight obsolescence it may seem surprising that decent calculators are still being manufactured. Fortunately, that's one thing about HP that hasn't changed in recent years. Several years ago my beloved HP 20s suddenly died. I turned it off, then back on—nothing happened. Dead. I bought a new calculator at Walmart. It was only $12 for a TI with all the same features but it was the flimsiest piece of crap I've ever attempted to use. The buttons have no tactile feedback and don't even make contact about 10% of the time. I can do the same operation three times and get three different results. I've been feeling calculator buttons in stores looking for something like the good old days but everything feels like mush. At least I haven't been accosted by store security yet for feeling up their merchandise. After seeing used used calculators going for ridiculous price to HP addicts and collectors I finally broke down and bought the newer HP 35s. The keys aren't quite as stiff as before but they still have that solid feel I've been missing. As a bonus I've completely given up algebraic entry for RPN. I put it off for decades but not any longer. Fortunately I have experience using a stack-oriented programing language (FORTH) so RPN is a snap for me. It's so nice to know that it got entered right the first time every time.